During the recent eTail West conference in Palm Desert, my colleagues and I got into a lively discussion with fellow marketers during happy hour about the rise of LinkedIn video. It reminded me of the early days of YouTube and the emergence of new channels to create and promote citizen journalism, discover a new breed of web celebs, debate about various topics in an open forum, and the previously unknown ability for us to simply broadcast ourselves to the world from anywhere. At the end of last year, the social network for business had more than 560 million users worldwide, 61 million senior-level influencers and 40 million decision-makers using it. Today, it is the most-used social network amongst Fortune 500 companies and it clearly leads the pack with 92 percent of B2B marketers using LinkedIn as part of their organization’s content strategy. Not surprisingly, LinkedIn drives more than half of all visits to B2B websites and blogs. Perhaps most importantly, when it comes to lead generation, LinkedIn is responsible for delivering four out of five (80 percent) of all leads from social media, and 65 percent of B2B companies acquire customers via LinkedIn. Web video has risen in popularity, based on people’s consumption habits. Last year, 87 percent of consumers said they’d like to see more video from brands in 2019, per Wyzowl’s fifth annual state of Video Marketing Survey. Video is “the” runaway winner for how consumers prefer to learn about new products or services with more than two-thirds (68 percent) saying a short video is the best. In comparison, trailing far behind, consumers prefer text-based articles next at 15 percent, infographics (four percent), and ebooks or manuals (three percent). When it comes to where B2B marketers feel most confident in distributing video, the marketers we spoke with at eTail West had lost faith in YouTube, once the go-to channel for corporate video and all sorts of other video content. In part due to a growing concern about brand safety, but also, because YouTube is still not the place for B2B marketers to spend their time and money to reach prospects. A few days before the show opened, YouTube was rocked once again by a pedophilia problem. YouTuber Matt Watson posted a video about a “soft” pedophilia ring on YouTube that was gathering child predators around videos of young girls performing innocent activities like gymnastics and yoga. They were making vile comments alongside videos with global brands’ ads being served up next to them. While LinkedIn is relatively late to the game in video, which launched on the platform in 2017, it’s quickly become the fastest growing, most viewed and shared form of content on the world’s #1 B2B social channel. Brand marketers are getting great results with video campaigns. For example, Adobe’s sponsored-video content campaigns have proven to be highly effective in gaining attention from “hard-to-reach marketers.” Post-campaign surveys with Adobe’s prospects found that marketing decision-makers reported they were 2.5 times more likely to agree they’d been captivated by its LinkedIn video content. 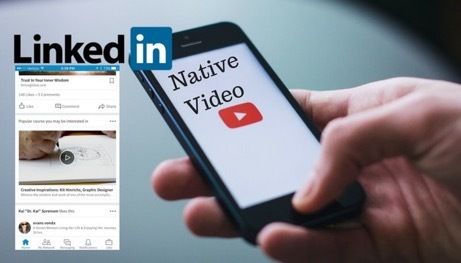 Quick, informative native videos, which can last anywhere from three seconds to 10 minutes on platform, are grabbing the most attention on LinkedIn. Business users tend to browse fast and efficiently, and keeping video content short and concise (under three minutes) is recommended. On average, business users only spend about 24 minutes a day during a five-day work week on LinkedIn. One successful marketing leader using short bursts of 30-second to one-minute long videos is Allen Gannett, CEO at TrackMaven, a marketing insights company. You can view some of his video segments by plugging in #AllenAsks into LinkedIn. Gannett tends to interview high-level executives and entrepreneurs around the world, and judging from the engagement he’s receiving from the video posts, it’s a highly effective editorial content strategy. Another exciting development that should be broadly available from LinkedIn soon is the business social platform’s first live streaming service. In beta as of mid-February 2019, LinkedIn Live will let organizations stream things like Q&As, events, conferences, earnings calls, product announcements, expert advice and more in the coming months. To learn more about how you can significantly boost the relevance, impact and sharing of your corporate editorial content using LinkedIn, visit this link to download free marketing advice from Every Media Company, the editorial communications services firm I co-lead with Tom Foremski in San Francisco. 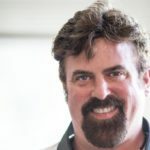 Chris Knight has worked as a journalist, marketing consultant and brand evangelist in Silicon Valley and San Francisco for 25 years. He’s the co-founder and creative director of Divino Group and Every Media Company.